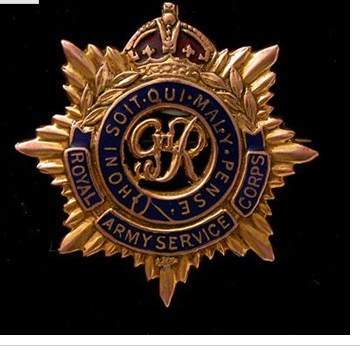 During the Second World War both Joe and Arthur Quilietti were pat of the Royal Army Service Corps. Medal 'In Arduis Fidelis' (meaning 'Faithful in Adversity')THE ROLE OF THE RASC. Supplies would be delivered to the divisional refilling point by corps transport units. – Empty lorries would travel in convoy to the divisional supply refilling point and collect supplies. The lorries from each brigade would load the supplies for their own brigade. – Loaded lorries would travel, preferably by a different route to avoid congestion, from the divisional refilling point to the unit supply points where units first line transport would collect the supplies. There would usually be a rendezvous point where the lorries for each brigade were met by motorcyclists who guided them to the supply point which might have moved or might be difficult to find in the dark. – Once unloaded the supply lorries would collect any salvage in the form of returnable crates, cans, sacks etc. and then return. – Somewhere on the return route was a reporting centre manned by the echelon commander and personnel and vehicles from company headquarters. Here the section and platoon commanders would report that their mission was complete. 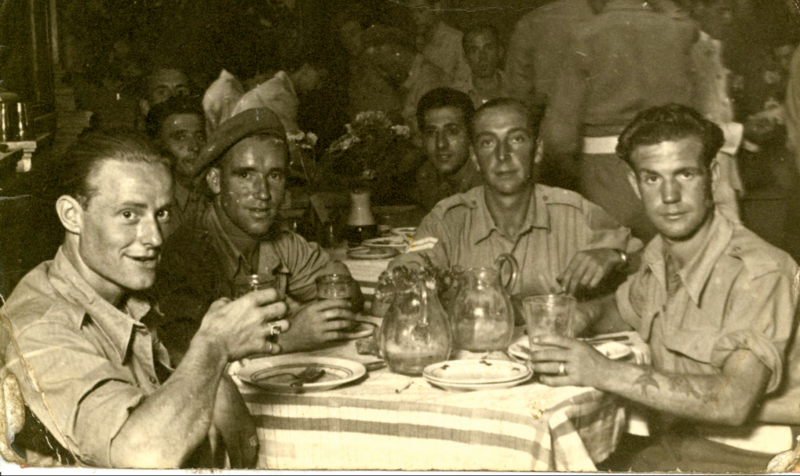 Here they could also get refreshment and repairs before returning to a company headquarters for rest and a meal. – Company Headquarters would be sited close to the divisional refilling point and clerks would be provided to check the items being loaded by relief crews. Clerks and loaders would also be provided by the third line transport to handle items being unloaded. Supply Platoons were also available to assist with supply matters. – Supplies of petrol were delivered to the divisional petrol refilling point by corps transport where it was held on wheels until collected by the divisional transport as required. The corps RASC held a reserve sufficient to move the entire division 25milesForward of the divisional refilling point was a holding point where the second line transport held a reserve on wheels sufficient to move the entire division 50 miles. Second line vehicles also ran a shuttle service from the holding point to unit supply points so that petrol was always available when required. – On return journeys lorries should carry salvage in the form of empty jerricans. All petrol was in cans and a 3ton lorry could carry 160 jerricans. – There was less need of clerks, although deliveries were monitored so that fresh supplies could be ordered. – Supplies of ammunition were delivered to the divisional ammunition refilling point by corps transport where it was held on wheels until collected by the divisional transport as required. The corps RASC held a reserve. – Forward of the divisional refilling point was a holding point where the second line transport held a reserve on wheels. Second line vehicles ran a shuttle service from the holding point to unit supply points where ammunition was always available. – On return journeys lorries should carry salvage in the form of empty ammunition boxes and cases, packing tubes, and shells that have been unpacked but not used. This latter made it necessary for lorries returning to the divisional filling point to be diverted to a salvage depot where returned ammunition could be handled by RAOC personnel. – A General Duties platoon was available to assist with loading and unloading ammunition. – It was a principle of ammunition supply that it should move forward automatically and need not be indented for. Clerks were required to record amounts issued, and units made returns of ammunition expenditure, so that replacement stocks could be provided. – At times of heavy artillery ammunition expenditure divisional lorries could deliver direct to gun lines and dump ammunition on the ground.